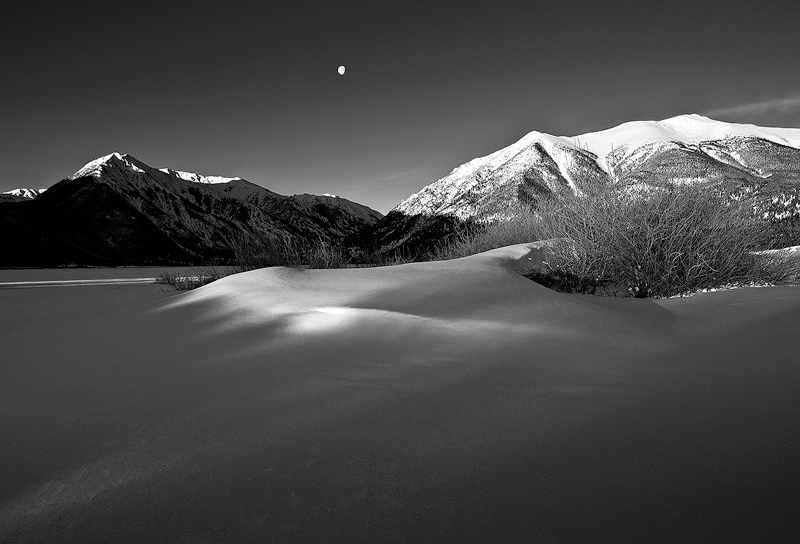 First light of the morning illuminates a snow drift, with Mount Elbert and the setting moon behind. A chilly minus 5 degree January morning. Photo © copyright by Stan Rose.